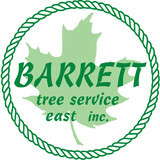 Barrett Tree Service East, Inc. is a TCIA Accredited Tee Care Company dedicated to its clients and their trees. We are arborists whose primarily focus on tree preservation and plant health care to allow trees to remain in their settings as long as possible, and also specialize in technical tree removal and replanting services in the event those are the best options. Our highly experienced staff includes Certified Arborists, Certified Tree Care Safety Professionals and Licensed Applicators. Our dedication to continuing education ensures our staff provides the most informed horticultural solutions and high quality arboriculture possible. Mal's Tree & Landscape, one of Boston's largest all-inclusive greenscape companies, offers a full range of landscape and tree services to fit your specific needs. Mal's professionally trained Certified Arborists and landscape professionals can help you make the best decisions to protect and enhance the beauty and health of your trees and surrounding property. Mal's years of experience, sustained growth and commitment to client confidence and satisfaction make Mal's an ideal choice for your tree care and landscape needs. al's Services offers both commercial and residential landscaping services, and can help preserve the health and beauty of your landscape and trees through their soil aeration, root flare excavation, tree trimming and tree removal services. In addition, Mal's expert team can also help stabilize and protect trees through their cabling and bracing services, as well as their tree preservation services for existing trees in construction areas. Their professionally trained landscape and tree care team can also help diagnose and treat diseased, weakened or infested trees to preserve and extend their life, and can handle your tree removal and stump grinding needs for trees you want removed from your property. The landscape and tree care experts at Mal's Services specialize in environmentally friendly business practices that promote and protect our natural resources utilizing both landscape and tree care training and state of the art machinery and equipment. Let the professionally trained team from Mal's help you with your next landscape or tree project. Middlesex Tree Service has all the tools necessary to professionally trim and remove tree limbs or entire groves of trees. Their crane and bucket truck minimizes any risk to a homeowner’s valuable property while ensuring that the job is performed correctly. Of course having the right tools is necessary but the skill and knowledge to do the job right is the most important prerequisite. This is where Chris and his crew take a back seat to no one. They have performed removals of trees that have fallen on houses after a hurricane. Other removals involved large oak tree limbs physically resting on the house. Chris and his crew will undertake these jobs and get the results you are looking for and at a competitive price. Most people make the mistake of hiring a tree removal service entirely on the basis of price. However, removing large trees and/or limbs is dangerous work especially if the tree is near a home or street where falling limbs can do significant damage. We have over twenty years experience and the right equipment to handle all jobs safely and efficiently. Our tree climbers use a bucket truck and safety harnesses and we are insured. We love trees but we love our customers and employees even more. When you hire Middlesex Tree you are hiring a team of professionals who pride themselves on their work. Cedarlawn Tree is proud to be a division of Bartlett Tree Experts, and we now have the backing of an international tree-care company and tree research laboratory to help continue providing excellent tree service and shrub care in the Boston MetroWest community. Our staff look forward to serving you with the same dedication to quality and commitment to customer service that you have grown to expect. At Cedarlawn, our mission is to aid our clients in the preservation and enjoyment of their landscape. Providing quality tree care "From Seed to Stump" Owner operated Fully insured Massachusetts certified arborist #2179 Call for free estimate today! 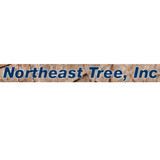 Local tree service company providing the highest quality tree services to Worcester County. We follow only the highest safety standards ensuring a safe working environment for our crew and for our clients. Utilizing the proper equipment minimizes the risk and damage associated in dropping trees. With a methodical approach to every job we can set up, perform the work and clean up the area in the most streamline way possible which translates to working efficiently and effectively all the while preserving the safety and integrity of our customers property. We are small, and we like it that way. When you call Saddle Up Tree Service, LLC for a quote, Kevin comes to look at the job, Kevin will give you the quote, and Kevin will be on site to get the job done. We enjoy getting to know our customers. Whether it's a crane job, a lot clearing job, or just a couple branches being pruned off a tree, you will enjoy our personalized service. Ed's Landscape & Tree Service is a landscaping company in Needham, Massachusetts, that offers a full range of landscaping and tree care services for your property. Whether you own a home or a business, you want your yard to look its best. At Ed's Landscape & Tree Service, we provide you with top-quality landscape designs that stem from a genuine love of plants. We know how to implement individual plants within the landscape to create the best possible look. We carefully consider all aspects of each landscape to achieve a balance of color and flowering using a selection of various plant shapes and growth habits. Our services are custom tailored for your home or business. Cicoria is a full service tree care company, family-owned and operated since 1981. Our Essex-Aggie trained staff is committed to high-quality service. Each member of our team of professional arborists truly care about trees and is dedicated to satisfying our customers. Cicoria Tree has served thousands of North Shore residents for over two decades and has a reputation built on prompt, courteous, first-rate service. Favreau Forestry provides Sterling, MA tree services, tree care, and maintenance service to residential, commercial and municipal customers throughout the entire state. The business was established over 20 years ago by Brian Favreau. Favreau has over 20 years of experience in the tree service business and grew up on a farm in nearby Sterling which taught him the value of hard work. Lessons learned as a young boy related to honesty and integrity have carried into his business. Brian and his family (wife and four children) reside on the farm in Sterling, MA. For a free estimate on any of the tree care services offered by Favreau Forestry, contact us today by phone or e-mail. Tree Line specializes in Tree Work and also offers an array of other services including Landscaping, Power Washing, Light Excavation. The owner and operator, Tom Saad, is FULLY INSURED and will provide you with professional work at a reasonable rate! Proudly serving Southern NH and surrounding areas including: Rockingham County, Derry, Windham, Londonderry, Hampstead, Atkinson, Chester, Salem, and Sandown. Also serving parts of Massachusetts! Since 1998 ,The professionals at KENT TREE and Landscape, Inc. have provided quality and reliable services to homeowners, business owners, contractors, property managers and municipalities throughout the Worcester County. We strive to continue to provide affordable services to each of our clients. Our professional crew members are passionate about their community and care for each property as if it was their own. Whether we are removing a 120 ft. oak next to your home or trimming a special ornamental tree, we continue to strive for customer satisfaction through safety, reliability, knowledge and professionalism. Located on Boston's North Shore, Buckley Tree Care is a full-service tree care company committed to providing quality, professional arboricultural services that preserve the beauty, health and value of your trees. Contact us anytime at info@buckleytreecare.com or (978) 704-1441. Founded over 90 years ago, by Waldo E. Lupien of W.E. Lupien & Sons, now Lupien Tree & Landscape, continues to operate as a family owned business. We are a Professional Service Business that conforms with all of the License,Tax, Insurance, Bond and Permit requirements in our industry. Lupien Tree & Landscape employs highly skilled Tree & Ground personnel including the following certifications; Massachusetts Licensed Pesticide Applicators MCA - Massachusetts Certified Arborists ISA - International Society of Arboriculture Vehicle Licenses - Hoisting, Class D, Class B / CDL Mauget Certified We are Active Members of the MAA, NAA, TCIA, ALCM, NFIB and Angie’s List. Proud Supporters of the Newton Police Memorial, Newton Firefighters Association, Newton North & Newton South High Schools, The Catholic Year Book and The Jewish Theater of New England as well as many other Local Organizations & Schools. In today’s economy your loyalty is valuable to us. It is important for you to know that Lupien Tree & Landscape will continue to provide the Quality Service and Competitive Prices that our customers have been receiving for over 90 years. Waldo E Lupien 1897 - 1990, A member of the Lupien family and one of the founding fathers of the Massachusetts Arborist Association. Waldo was born on April 25, 1897 and lived a full life until his passing on September 5, 1990 at 93 years old. Are you concerned about the health of the trees on your Hampstead property? Tree service professionals can help with pruning, cable bracing and other residential tree care services in your Hampstead, NH backyard. Your Hampstead, NH tree service professional or arborist might work in conjunction with another landscape professional to create a seamless landscape design. Here are some related professionals and vendors to complement the work of tree services: Landscape Contractors, Landscape Architects & Landscape Designers, Garden & Landscape Supplies. Find tree service professionals on Houzz. Look in the Professionals section under Hampstead, NH tree services. You can look through portfolios and read reviews to see what past tree care clients have to say.